We didn’t win. We didn’t get second place. We had a ton of fun! 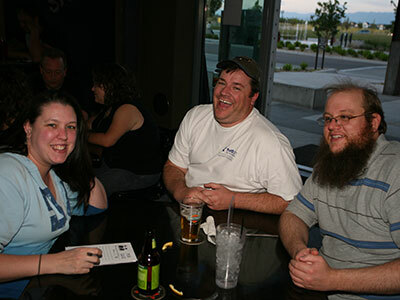 I think Geeks Who Drink is so much fun because it makes me feel dumb. I know that’s a paradox, but I love it when I find that there is a gap in my knowledge. I’ve learned that I need to be able to name more than three Supreme Court Justices. Ironically, we would have been tied for first place if we had just trusted our instincts and written Clarence Thomas down, even though it seems like he was just instated yesterday. Now that I think about it, though, I was working at K-Mart putting myself through college when the Anita Hill thing blew up, so he has been on the bench a LONG time. 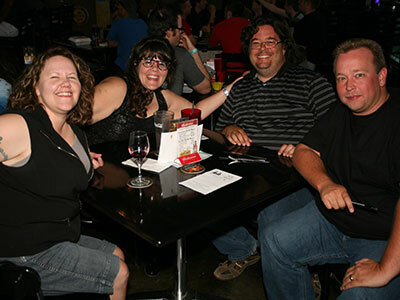 I think the best part was that our friends came to compete as well. They held onto the third place spot for most of the game, but in the end, none of us won. This video literally had me crying my eyes out. Amanda had been deployed for six months and her husband filmed her return. Just hearing her dog, Daisy, yelp and whine at Amanda’s return, I felt every moment of her absence from the family. How do dogs do that? It’s EXACTLY what it feels like to go to IKEA. Lucky thing they have a food court there or people would STARVE before they found their way out! 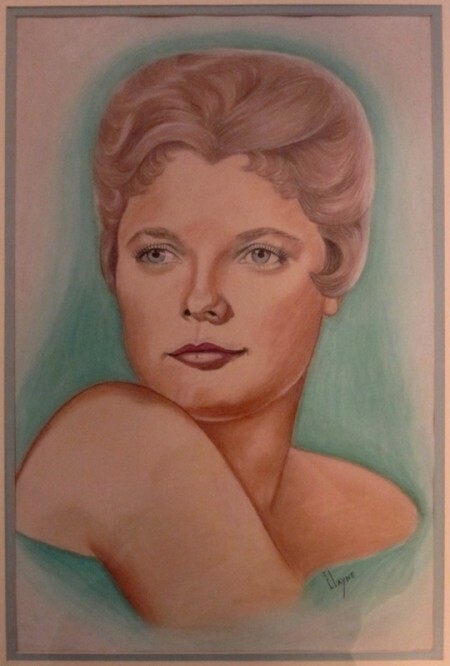 When Carol died, this drawing went to her sister, Pat. I was so sad that I didn’t get a chance to properly photograph it, but Pat was nice enough to let me borrow it so I could get a good photo. Not a week goes by when I don’t think about Carol and how blessed I was to have her in my life. I thank the day she moved in with us because our home-life became much more sane with her present. I’ll always remember her looking like this. When Mike and I lived in the Sugarhouse House, we lived in an 873 square foot house. Sometimes I miss the simplicity of that house, especially when I’m trying to keep up with the house cleaning. Watching this video made me think that we could go even smaller. We had something very similar in our living room, a futon. Unfortunately, a futon isn’t a very comfortable couch and doesn’t provide a lot of storage underneath because of the opening and closing mechanism. That couch is much more efficient. Their workspace is in an entirely different building, but they also have a teenage boy living with them, so the thought of living in 320 square feet suddenly sounds possible. The thought of living mortgage free sounds even better. 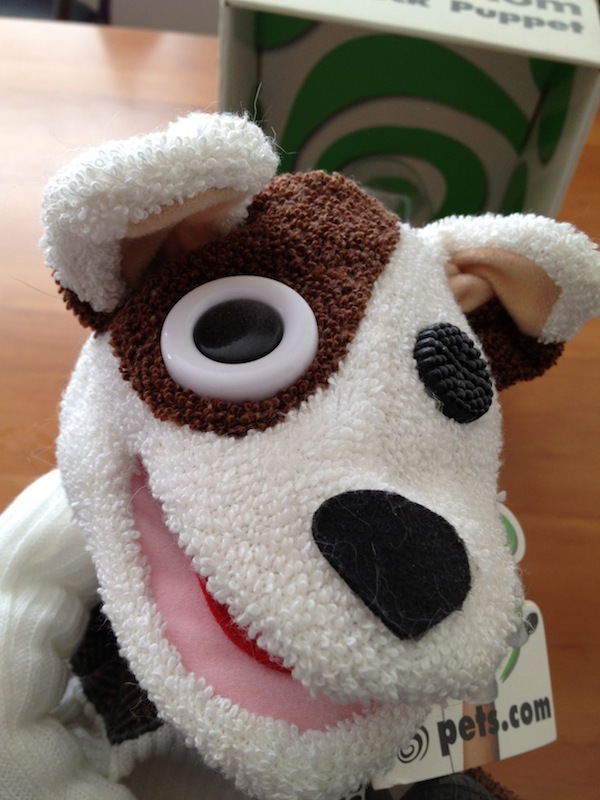 The sock puppet who was the star of the Pets.com commercials was my absolute FAVORITE part of the the First Dot Bomb. Just in case you don’t remember them, here is a medley of some of their commercials. There are some different commercials in this video and the end shows the Pets.com puppet in the Macy’s Day Parade. Of all these commercials, I haven’t been able to find the “Where’s the love for the ferret?” commercial that Mike and I used to quote all the time. 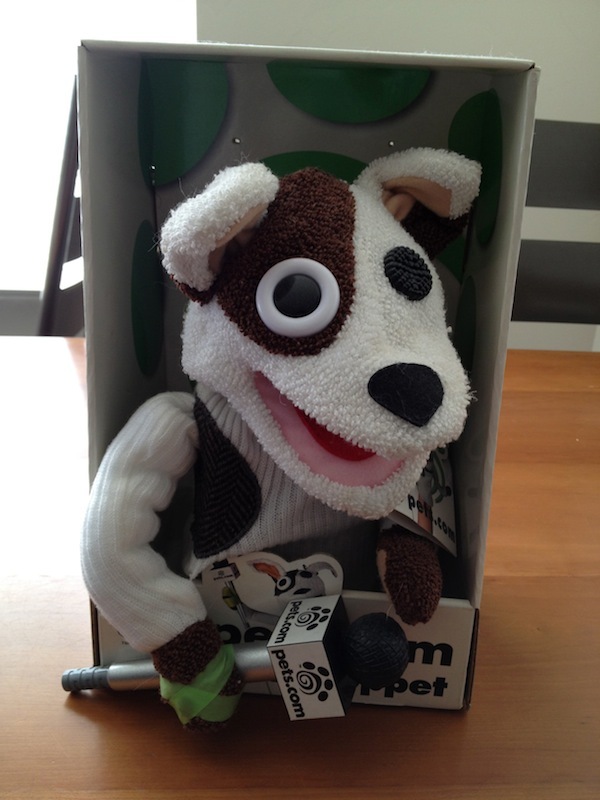 We loved that little puppet so much that we bought one. He still looks at us from the kitchen shelf every day. I took him down from the shelf to take some pictures of him. 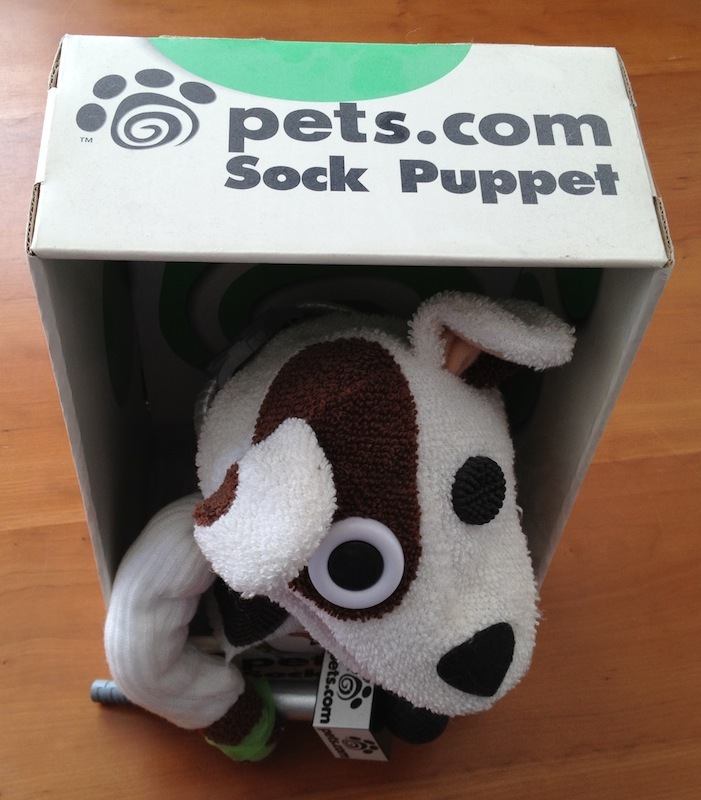 I can’t believe that Pets.com had enough money to make the sock puppet when they shipped fifty pounds of aquarium gravel to us for FREE. No wonder they went out of business. They even recreated the watch on the puppets “neck.” It’s set to 8:00 on the 11th every day. 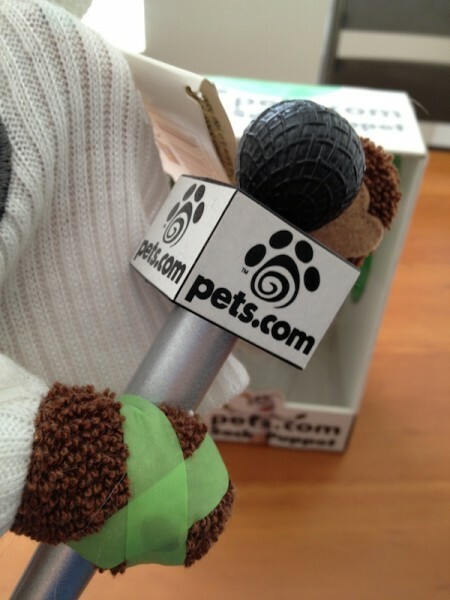 His microphone is even taped to his hand, just like in the commercial. They even recreated his uneven eyes. In the end, Pets.com went out of business because they spent money on Macy’s Day Parade balloons, prime time commercials and free shipping without boundaries instead of focusing on fulfillment and adding to their warehouse locations. It was a business that could have really worked if they had stayed “small” for long enough to survive the Dot Bomb. The cost for those prime time commercials were what made us love them, but at the same time, it’s what killed them in the end. 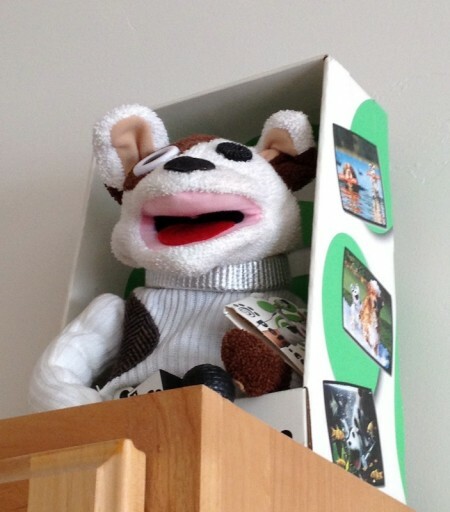 That’s why the Pets.com puppet stays on our kitchen shelf, looking down on me. It reminds me to remember the mistakes of the past and make sure we don’t make the same ones. Oh, Moby? Why U Make So Ugly A Swatch?! 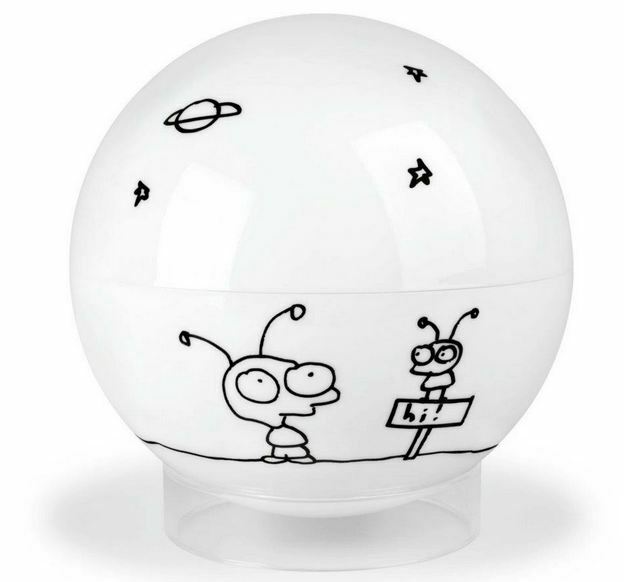 I love Moby and his music. 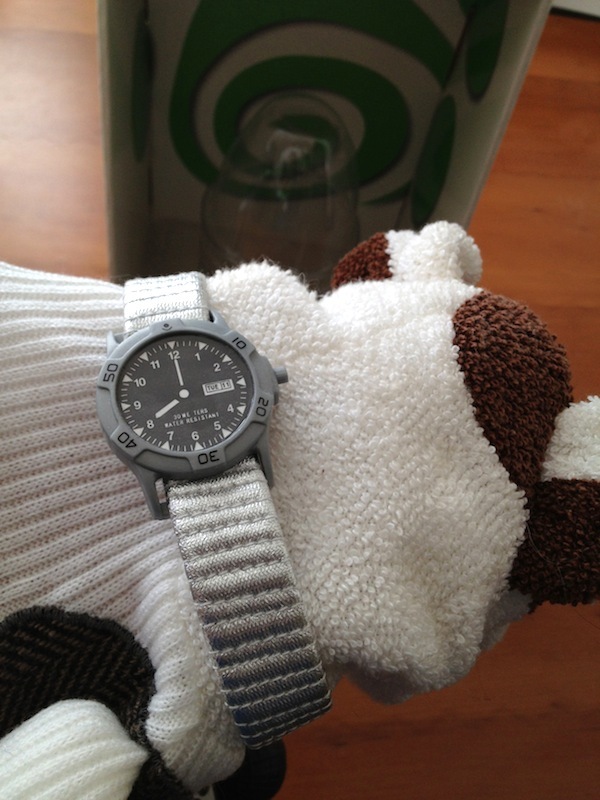 I love Swatch watches. So, you’d think a Moby Swatch would be a sure thing for me, right? Unfortunately, wrong! Not quite Keith Haring. Not quite Pearls Before Swine. It’s just not doing it for me. 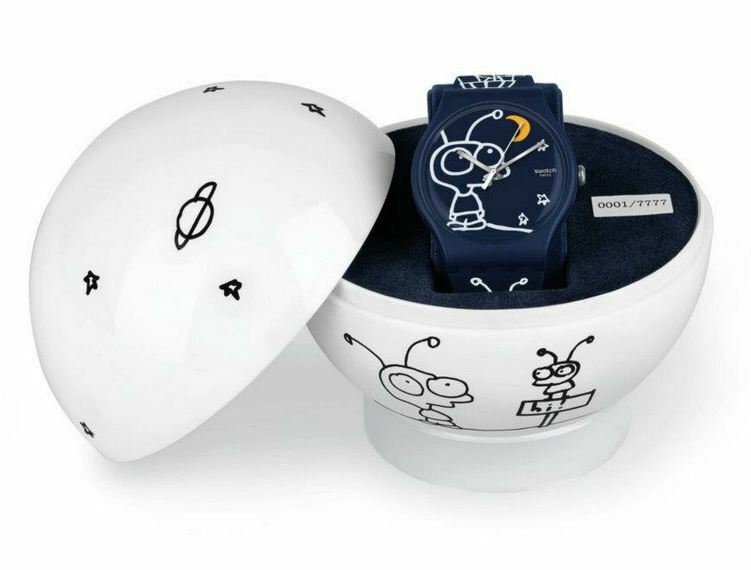 I love you, man, but I just can’t buy this watch, no matter how many poorly drawn aliens you put on it. I came across some photos that I took last winter in the middle of my “I Want To Go Camping So BAD” phase. It was dark and cold last winter, so I pulled out my Barbies and took them camping on the kitchen table. THAT’S how desperate I was for some sunshine and outdoors time. After watching this trailer, I’m so excited about this show: Revolution – NBC Official Site. Of course, I’m still angry at J.J. Abrams for not finishing what he starts, but I’m willing to try once again. Nina does this about once or twice a day, but every time I try to film her, the noise of getting the camera always wakes her up. Today, I was able to catch her in the act. She is such a light sleeper, I would swear she was a cat, not a dog. Over the course of those 3000 miles, we had a few mishaps and troubles, so once we got it home, I had a huge job cleaning and fixing them up. I saw this episode of TableTop and it really made me want to try the game Castle Panic. So, I bought it and we all played it last Sunday. It was a lot of fun and I’m so impressed with the game mechanics. There are some bad guys who are stronger than others and the way they deal with their “hit points” is really ingenious. The biggest flak I got from Stacey, Dan and Mike was about the cooperation. They immediately started quoting the Incredibles line. Everyone’s special, which is another way of saying no one is. They argued that if we all win, that’s like no one winning. And they kept arguing that until we lost our first game. “Should we play again?” I asked, tentatively. I had introduced this game and they had all complained heavily about it. 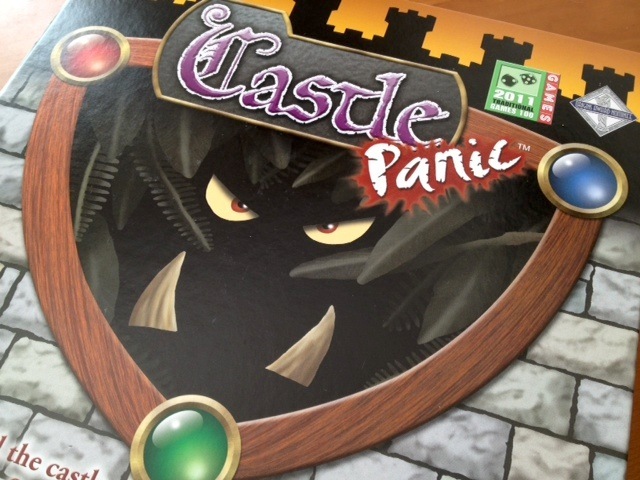 So, if friendly competition in your family has gotten a little out of control, maybe a cooperative tower defense game like Castle Panic is just what you need. Why is the funnest thing I can do with my Xbox is tease my cat with it? He is fascinated with the DVD tray that opens and closes. It has gotten so bad that he comes running whenever he hears me turn on the console. This is the cat that I thought was deaf because he wouldn’t even acknowledge my screeching at him to get off the counter. He’s definitely NOT deaf. That big boy can hear the sound of the Xbox powering up no matter where he is in the house. These video skits from SNL are spot on. It shows exactly what it’s like to have a friend who is obsessed with Japan. There is also a skit with Jonah Hill that was hilarious as well, but I can’t find it online.